General Motors South Africa announced on Tuesday the immediate appointment of Clayton Whitaker to the position of Vice President of Manufacturing for GM Africa. 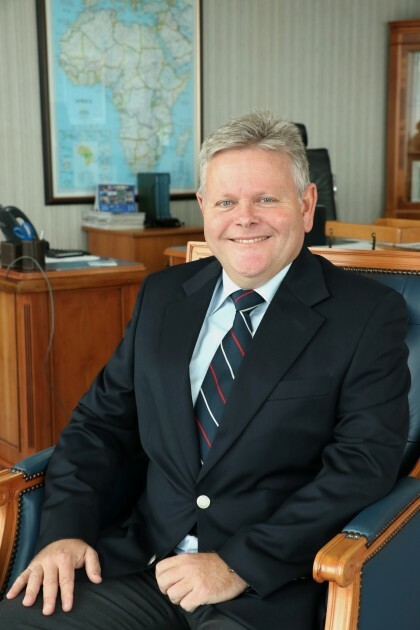 Whitaker is the current General Manager of Manufacturing Operations for GM South Africa, and the new role expands his oversight to encompass the West Africa, North Africa, and East Africa regions. Whitaker will report to Phil Kienle, Vice President of Manufacturing, GM International and China. His role entails ensuring a synthesis of operations between all GM Africa regional operations, as well as creating an internal support structure and securing manufacturing facilities on the continent. “We want to ensure that we have an efficient operation that is focused on supporting sales targets and building quality products in a safe and environmentally conscious environment,” said Whitaker. Whitaker joined General Motors in December 1996 as the General Manager of Industrial Mouldings, which is a subsidiary of the former Delta Motor Corporation. In the nearly 20 years since, he has occupied a number of significant roles within GMSA, including managerial positions wherein he was integral in the transition to a single-plant footprint and ensuring quality control.